Hello lovelies, my final fave blog of the week before I show with you my fave bloggers next week, I have enjoyed sharing the love with some amazing bloggers. There are obviously amazing bloggers out there so many un-noticed but I thought I would share with you the ones I am always reading and heading to Helen's being one of them. 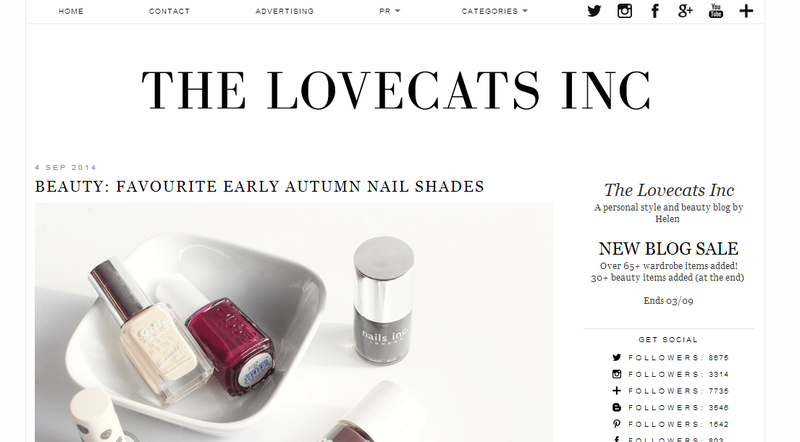 As soon as Helen posts a new blog post in my twitter feed I am on it, absolutely love her most recent post about autumn nail polishes being a big nail polish fan myself. Her pictures are stunning and fabulous content! She has great fashion taste and always looking gorgeous in her fashion posts, she has been doing some foody type posts too usually scrummy deserts which urges me to bake but I am useless at it. I just dribble over her photo's wishing I could grab a slice through the laptop, if only. Her beauty posts always seem to be something I am interested in and love a good night time read on my ipad, I'm nodding my head agreeing usually or jotting down on my to buy list. There isn't a post on her blog I don't like I am sure of it, I am sure you already follow her but if not I would defo go check Helen's blog out, super easy to read and you can be jel over her stunning photography and collection of clothes/shoes and yummy bakes. 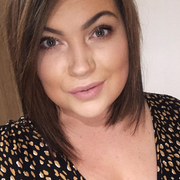 Connect with Helen - Youtube, Instagram, Twitter & Bloglovin.